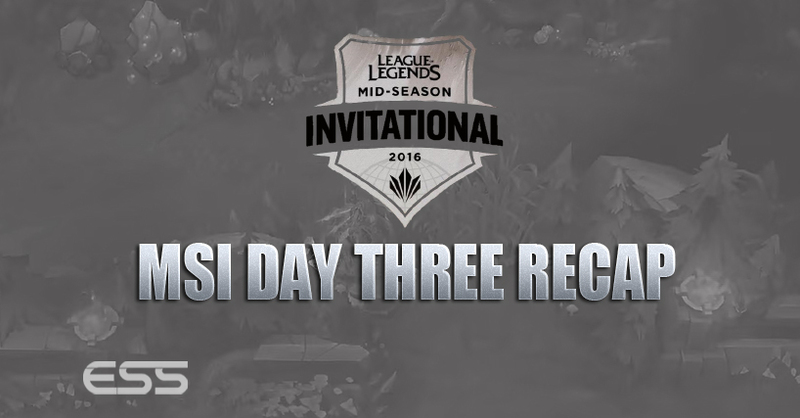 It’s Day 3 of the second annual Mid-Season Invitational in Shanghai, China. 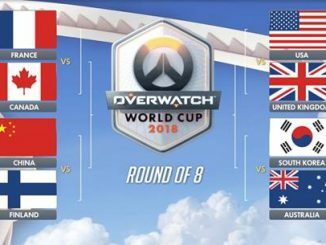 We’re currently still in the group stages but remember, the two teams with the lowest record will be eliminated and the remaining four teams will move on to the knockout stage, which runs May 13th – 15th. Missed out on today’s action and want to know what happened? Read below, where I’ll also share my updated Power Rankings. Flash Wolves, who came off an impressive Day 2 where they won both of their games, faced off against top of the standings RNG, who have yet to lose a game. The game started off well for Flash Wovles who managed to secure early kills onto RNG’s ‘xiaohu’ and ‘mlxg’. However, their team fighting proved to be their downfall. As the game progressed, Dragon became a focal point for team fights. RNG, who have displayed team fighting prowess throughout the tournament so far, showed why they were the undefeated team in MSI by acing Flash Wolves at 28 minutes. From there on they managed to grab Baron and push in for the win. CLG looked to bounce back after a shock defeat to SuperMassive yesterday and faced an SKT side that was coming off the back of 2 straight losses. The game didn’t start well for the North Americans as ‘Faker’, who had brought teleport on Le Blanc in the mid-lane, was able to constantly provide help to top-laner ‘Duke’ whenever ‘Darshan’ went aggressive. This led to 2 early kills for SKT at the 16th-minute mark. But, as was the problem yesterday in a loss against Flash Wolves, SKT failed to capitalise on their early dominance and CLG were able to stay even on gold by taking towers. The game transcended into sloppiness but all it was doing was suiting CLG. SKT kept on catching out the likes of ‘Darshan’ split-pushing with Poppy, but then backed it up with nothing. Come the 30th-minute mark, the game was still evenly poised as the two teams danced around the Baron pit. 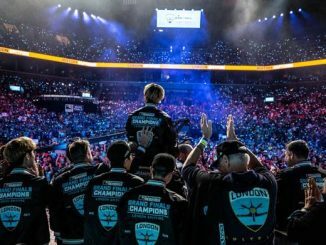 ‘Xmithie’ of CLG managed to secure the Baron and the NALCS Champions went on to take down 2 members of SKT. SKT lost an inhibitor for this but managed to hold onto their nexus turrets. The game would be back and forth till the 42nd-minute when the teams battled over the Baron again. Down to a 50/50 smite, ‘Xmithie’ out-smited ‘Blank’ and CLG killed 4 members of SKT to push on and win against the Korean Champions. Coming off a huge win yesterday against CLG, SuperMassive was looking to push on against the winless G2 Esports. In a must win game for G2 they managed to get off to a good start. 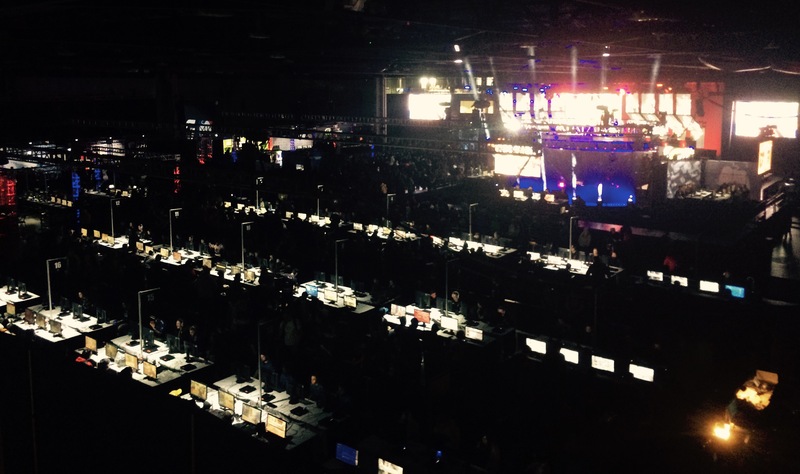 They picked up first blood and was able to gain a 2K gold lead by 13-minutes due to the 4 towers they had secured. Featuring the two teams with the lowest record, the game turned into a blood bath, with both teams looking to fight consistently around objectives. SuperMassive managed to grab the first Baron at 23-minutes but failed to do anything with the buff and, despite having 4 dragons, they were unable to secure the 5th dragon of the game that could have proven vital on sieging towers against an Azir. 10 minutes later, in the 33rd-minute, G2 Esports sneaked a Baron. With an Azir and Baron buffed minions, G2 Esports were able to open the gates in SuperMassive’s base. 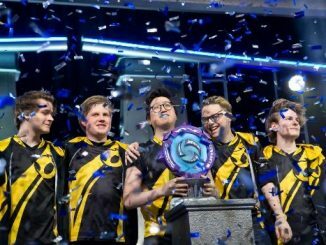 A precise Bard ult a few minutes later by ‘Hybrid’ was able to catch out SuperMassive’s support ‘Dumbledoge’ – who went down immediately – the rest of his team followed in similar footsteps and G2 was able to push in for their first win of the tournament. These teams came into the match in completely different kinds of form. Flash Wolves were on a high, having won their last 3 games. Conversely, SKT had lost their last 3 games and were looking a shadow of the team that dominated Day 1 and the Korean Championship. With confidence being a major factor in competitive play, the first blood was important for both sets of teams to set the ball rolling. Unfortunately, for SKT, it went over to Flash Wolves as ‘Karsa’ was able to catch out ‘Blank’ who wandered dangerously into the opposition jungle. Things went from bad to worse soon after, with Flash Wolves managing to catch out ‘Bang’ in the bottom-lane. 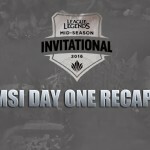 The game continued in the same fashion throughout – with Flash Wolves constantly looking to make plays by catching out their opponent. Despite this, SKT managed to stay relevant through their prioritisation of Dragon. By the 27th-minute, they had 3 Dragons, and had the potential to stall the game out to reach the 5th Dragon buff – they even had a slight gold lead of 0.8k. For some reason, SKT tried to sneak Baron with 4 members. An Ezreal ultimate by FW’s ‘NL’ caused the 4 members of SKT to go dangerously low and the mobility of ‘Karsa’ on Elise saw the FW’s jungler in a prime position to steal the Baron right under ‘Blank’s’ nose – and he did steal it. That huge play had an effect on both teams confidence. For Flash Wolves, who had won their last 3 games, this was a huge boost. For SKT? They looked unravelled at the seams and poised to lose their 4th game on the bounce. Just a minute after the Baron steal a huge combo from ‘SwordArt’ on Alistar saw FW’s take down ‘Bang’ and they pushed on to take the middle inhibitor. SKT appeared titled and kept on conceding multiple kills across the map shortly afterwards – simply due to overextending and players being out of position. Flash Wolves secured their second Baron of the game at 36-minutes and push on were too powerful for SKT at this point. They took down the inhibitors and destroyed the nexus for the win. Counter Logic Gaming, coming off a huge win against SKT earlier in the day, were looking to take revenge on the wild-card side SuperMassive who managed to beat them in a shocking defeat yesterday. 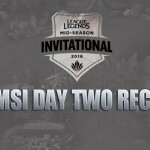 Things got off to a good side for the North American side, who were aiming to reach a 4-2 record at the end of Day 3 at MSI, when top-laner ‘Darshan’ was able to pick a kill onto mid-laner ‘Naru’ due to an instinctive teleport play to save teammate ‘Huhi’. Up until the 10th-minute though it was SuperMassvie who had established a gold lead. The team from Turkey was putting up a good fight against a North American team that prides itself on its early game rotations and ability to take turrets. 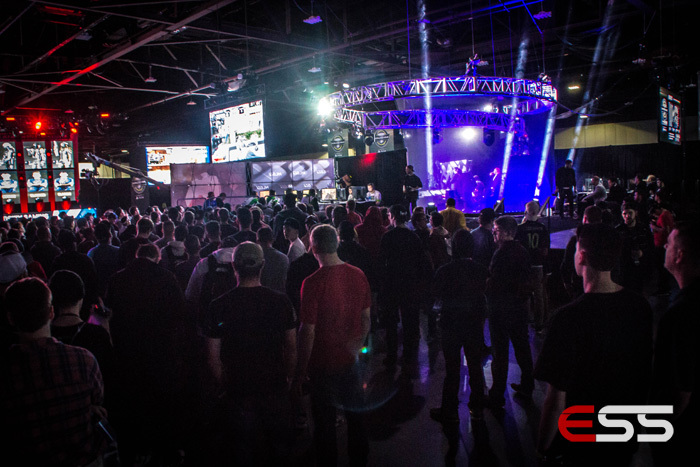 But, when it comes to the mid-game teamfighting, the wild-card side couldn’t keep up with CLG. Back to back team fights in the top lane/SM’s red side jungle saw CLG dominate. After catching out SuperMassive in the opposition jungle, CLG were able to push on and secure Baron to further establish a lead. By the 29th-minute, CLG were 10k gold ahead. 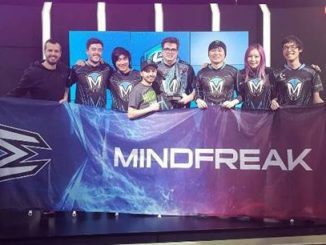 They pushed in with their Baron buffed minions and reaped revenge on SuperMassive with a hugely impressive 30-minutes win. 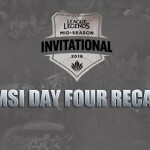 G2 Esports were looking to build on their first victory of the tournament but had to overcome the dominant Chinese team, RNG, who had won 5 out of 5 on home soil at MSI. It started off rough though for the European Champions though, with ‘xiaohu’ and ‘mlxg’ picking up an early kill onto ‘Perkz’ in the mid-lane within 3-minutes. G2 Esports managed to respond 5 minutes later with a 4 man gank on the mid-lane, but ‘mlxg’ was able to counter this by picking up a solo kill onto ‘Emperor’. The game remained even most of the match and even looked to be swaying in G2’s favour at one point in the game. G2 were able to secure Dragon and then push on to secure an inhibitor inside 25-minutes thanks to some poor communication and rotations by RNG. That small win for G2 was immediately quashed by RNG as they managed to secure Baron, only losing ‘xiaohu’ in the process. The Baron play seemed to catapult RNG and they started to pick up kills. They secured Dragon and punished 2 members of G2 in the process. 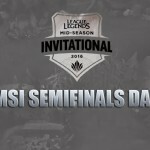 Then, 37-minutes into the game, RNG showed the fighting prowess that has led them to where they are at MSI. They collapsed onto G2 Esports who found themselves out of position near Baron. 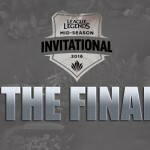 ‘Perkz’, who was uneffective on Azir, was unable to produce any sort of damage to swing the fight in G2’s favourite due to threat of assassination by ‘mlxg’ or ‘xiaohu’ – this ultimately cost them the game. RNG aced to take the nexus turrets and take the game. 1. 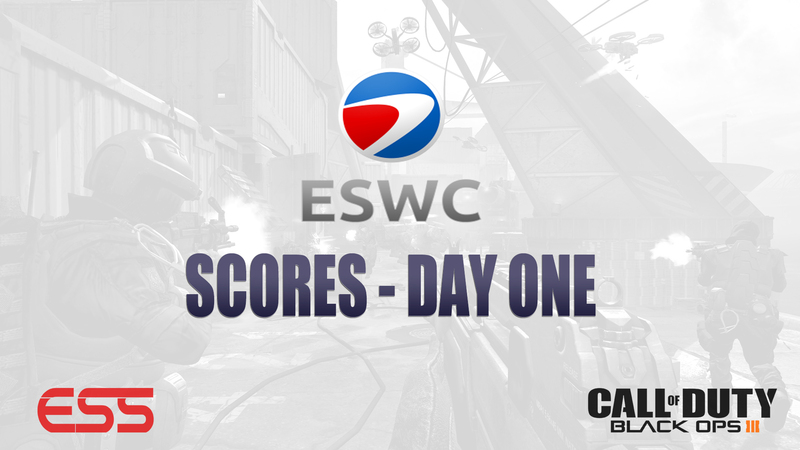 Royal Never Give Up: Another 2-0 Day sees RNG top the standings at 6-0 now. The team looks unbeatable – simply due to their team fighting prowess which they show time and time again. 2. Flash Wolves: The team had another good day, despite losing to RNG. They took down SKT and look impressive in doing so. 3. Counter Logic Gaming: Counter Logic Gaming performed admirably today against SKT. 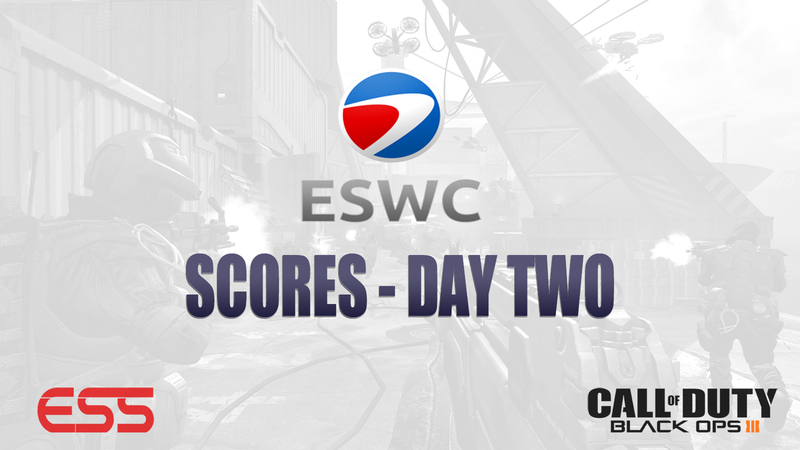 They looked confident and never crumbled under the pressure, despite being 2 kills down early. They showed their loss to SuperMassive was just a one off. 4. SKT: Another 0-2 day for SKT. The wheels have well and truly fallen off. Surely they’ll recover…they just look on tilt at the moment. 5. G2 Esports: G2 Esports are improving as the tournament goes on. They look much more controlled. 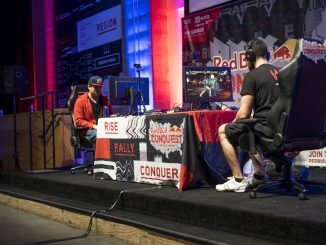 They beat SuperMassive in what was a huge game for them. They put up a really good fight against RNG too. 6. 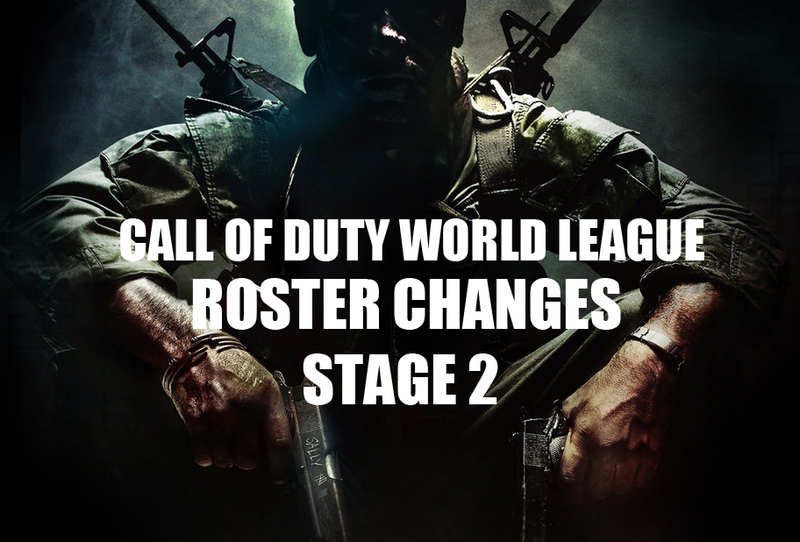 SuperMassive: Losing 2 games today sends SuperMassive back to the bottom of the power rankings. With G2 progressing I don’t see them making it into the Top 4.